On the heels of the “Monsanto rider” inserted into the House Agriculture Appropriations Bill a few weeks ago, the Agbiotech Industry’s latest ploy has hit the House Farm Bill in the form of multiple hidden changes to the laws governing genetically engineered (GE) crop oversight. 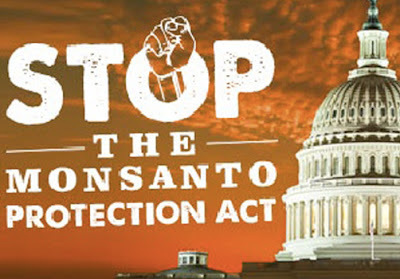 Together, these industry-promoting “riders” seek to override judicial review of GE crops found to have been approved illegally, gut USDA analysis requirements, create a forced backdoor approval of “Agent Orange” corn and other GE crops and to compel a first-ever policy for allowable levels of transgenic contamination in America’s crops and food supply. If passed, these riders would severely undermine the few laws that currently protect farmers’ rights, our health and our environment from the many adverse impacts of GE crops. Though the exact timing on when they will be voted on is uncertain, both the Appropriations Bill (which was delayed) and the Farm Bill are currently being debated by Congressional offices. In the past half-dozen years, courts and government reports have sharply criticized USDA’s oversight of GE crops as lacking. Numerous courts have held the agency’s approvals failed to comply with our environmental laws. In response, rather than responsibly improving its oversight, the industry instead seeks to change the rules. The Farm Bill and Appropriations riders together would eliminate meaningful review of these novel crops, forcing hasty approvals in advancing the chemical industry’s interests in selling their products. Though wrapped in a “farmer-friendly” package, the “farmer assurance provision” inserted into the House Agriculture Appropriations Bill is simply a biotech industry ploy to continue to plant GE crops even when a court of law has found they were approved illegally. Further, it forces USDA to approve permits for such continued planting immediately, putting industry completely in charge by allowing for a “back door approval” mechanism. The secret bombs deliberately buried in the House Agriculture Committee’s voluminous discussion draft of the 2012 Farm Bill represent serious assaults on our fundamental safeguards and would negatively impact farmers, the environment and public health across America., These significant changes to GE crop regulation will counter the gains that have been made to protect our food supply and the farmers who grow it. Outlaw any review of GE crops’ impacts under the National Environmental Policy Act (NEPA), the Endangered Species Act (ESA), or any other environmental law, or by any other agency other than USDA. For example, harm to protected species could occur without any input from our expert wildlife agencies. Weaken the remaining review by USDA under the Plant Protection Act (PPA),, and structure it so as to allow USDA to ignore many GE crop harms. 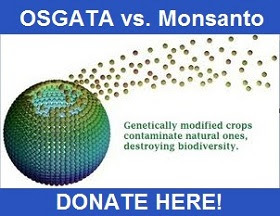 Force the backdoor approval of GE crops, even if USDA has not reviewed and approved them, through unreasonably short deadlines, which, if not met by the agency, would default to immediate approval and commercialization. The provisions would also bar any agency funds be spent on impacts analysis beyond the riders’ narrow and time-forced approval. Limit EPA’s oversight of biotech crops engineered to produce or contain a pesticide by forcing the agency to choose the least burdensome choice for industry, regardless of environmental consequences. American agriculture is at a crossroads. Far from moving closer to a safer, healthier and better regulated food supply, this is an attempted shift away from those principles – delivering our regulatory and decision-making powers over U.S. agriculture into the hands of industry. Tell Congress they need to protect what little safeguards what have in place on GE crops, not eliminate them!